American diplomats declared personae non gratae have to leave Russia by April 5, according to a step Moscow made in response to the greatest ever expulsion of Russian diplomats from the US over Skripal's poisoning, groundlessly blamed on Russia. Moscow will expel the same number of American diplomats as Washington and will shut down the US Consulate General in Saint Petersburg, Russian Foreign Minister Sergei Lavrov announced. "The measures will be reciprocal… They include expulsion of the equivalent number of diplomats and they include our decision to withdraw our agreement to allow the United States' general consulate to operate in St. Petersburg," Lavrov told a briefing. The minster specified that 58 diplomatic employers will be removed from the US embassy in Moscow and two staff will have to leave the Consulate General in Ekaterinburg by April 5. As for the St. Petersburg consulate, Americans have to vacate the premises in two days. The top diplomat went on to say that Russia will not only provide a reciprocal response to the West's steps in the wake of Skripal's poisoning, which has been blamed on Moscow, but even "more than that." As he explained, Russia's counter-measures will affect all countries that have made a decision to expel diplomats. The minister noted that Russia will convene an emergency meeting of the Organization for Prohibition of Chemical Weapons in a bid to start a dialogue and establish the truth. Sergei Skripal, an ex-Russian intelligence officer who worked for the UK's MI6, and his daughter Yulia have been hospitalized since March 4 after being exposed to what UK experts claim was an A-234 nerve agent. 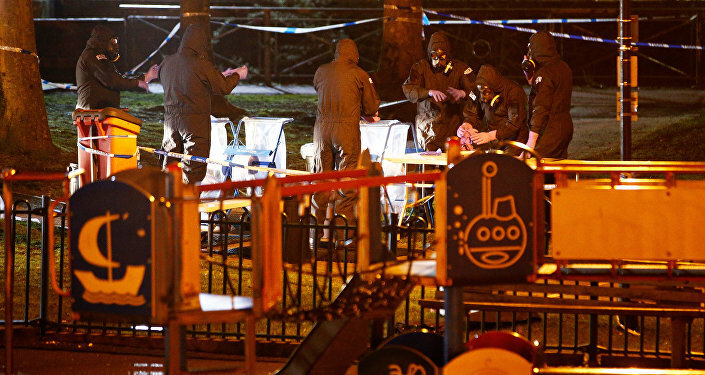 London has stated that it was "highly likely" that Moscow was behind the attack. The UK government responded by expelling 23 Russian diplomats from the country. Expressing solidarity with the United Kingdom, the United States and over 25 other countries have also expelled Russian diplomats. Russia has strongly rejected the accusations, and retaliated by expelling the same number of UK diplomats and closing the British Council in Russia. Russian Foreign Ministry spokeswoman Maria Zakharova called the UK "proof" a "global fake" and stressed that London was not responding to Moscow's constructive offers to work together on the investigation into the poisoning. Zakharova noted that the United Kingdom had repeatedly demonstrated its neglect for the norms of international law, as London neither granted Moscow access to samples of the poisonous substance, nor allowed a consular officer to meet with Yulia Skripal, who is a Russian citizen. US Ambassador Jon Huntsman has been summoned to the Russian Foreign Ministry to hear a report on a batch of counter-measures Russia is going to take. Leaving the ministry, the envoy refused to answer any questions from reporters. Moscow demanded clarifications of Huntsman's earlier remarks about the possible seizure of Russian state assets in the US. According to Lavrov, in case Washington continues its hostile actions towards the Russian diplomatic mission, additional measures from the Russian side will follow. Earlier the US ambassador admitted that the seizure of Russian assets was possible. "I don’t know what the future holds, I hope that we will be able to stabilize the relationship… But of course it’s possible," Huntsman told the RBC broadcaster, answering the corresponding question. The envoy's suggestions echoed UK Prime Minister Theresa May's plans to consider the proposal to prohibit the sale of Russian bonds through the City of London's clearing houses, which help finance Russia's sovereign debt. The move was earlier initiated by Foreign Affairs Select Committee Chairman Tom Tugendhat, who pointed the finger at several sanctioned Russian banks, including VTB, which he claimed are behind the issue of Russian bonds due to UK and EU legislation. On March 14, May pledged to "freeze Russian state assets wherever we have the evidence that they may be used to threaten the life or property of UK nationals or residents" in addition to the expulsion of 23 Russian diplomats as well as suspension of all planned high-level bilateral contacts in retaliation for the alleged attack on Skripal on the British soil.